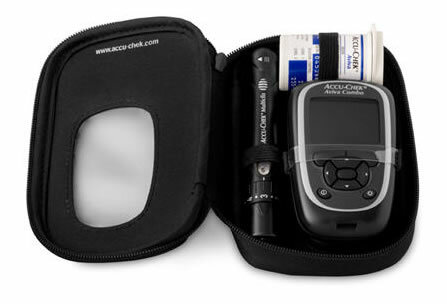 I was offered a 'trial' of the Accu-Chek Aviva Expert blood glucose monitor early last year, but for one reason and another it never happened. The idea, I think, was for Roche to get some feedback from real hands-on users as to how it worked. As I sit typing this I really wish I had had a chance to stick my oar in, though to be honest, by the time the trial was being offered I suspect the production unit was not going to change much, if at all. Then a few months ago the DSN who had asked me about the trial asked if I was still interested as she had a few handsets that she was able to give away. Another thing to mention at the start of the review is that I don't really have a very wide range of experience of using different monitors day to day. I've always used Roche units and always been happy enough with them. If you have always loved another brand and/or hated Roche units you will have to bear that in mind as you read my opinions. Before being offered the Expert I was tempted by the sleek tininess of the Contour USB, but was intrigued by the offer of bolus advice and eagerly took up the offer of the Expert. The Expert handset is apparently based on the system which offers bolus calculations for their pumps, though it seems to have been simplified somewhat, it lacks Bluetooth connectivity and those exotic pumpy bolus delivery patterns. 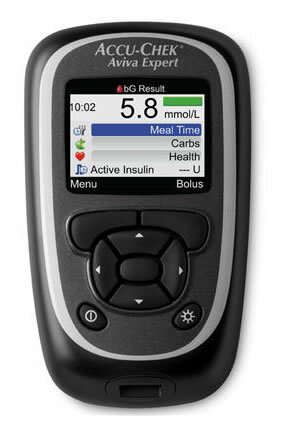 The basic idea is that you can test your BG, input the amount of carbs you are about to eat and the meter will then suggest a bolus based on the parameters you have set for the time of day (target range, insulin sensitivity, insulin:carbohydrate ratio, duration, level of activity and so on). These are careful calculations (read wild guesses) that insulin-using diabetics have to make several times each day. Often it feels more 'art' than 'science' and I know for my own part that there is often a fair amount of gut instinct that goes into a bolus calculation. I was less than sure that a bit of software would be able to read the ebb and flow of my days in the same way. Quite frankly it didn't seem likely. But as walked to the appointment to be shown how to set up and use the meter, it became clear to me how much I was beginning to want it to work. To be able to hand over the hassle of all those little bits of information, ratios, correction factors to a little gizmo that would do it all for me. The Expert is not dissimilar in size to my old Accu-Chek Aviva. A little wider, a little squarer, a little chunkier, a little thicker. Something like 55mm x 94mm x 25mm. For those who have had Roche meters before it will fit (along with a tub of strips and the excellent Multi-clix finger-stabber) in the familiar sized zip-up black pouch. It's a smart black and has rather more in the way of buttons on the front than other meters I've owned. The buttons themselves are those little rubbery affairs with a pleasing 'clu-dunk' action. One early annoyance was the location of the on/off button. Since this has been placed on the front of the meter it is all too easy to turn the unit on when just grabbing the zipped pouch. This is the first meter I've owned with a colour screen. Ooooh! Don't get your hopes up though, the screen is smallish at around 34mm x 28mm and only has the resolution of mobile screens from 5-10 years ago. While in the most part this is perfectly adequate it does make some of the graphs the handset can offer rather less than clear. I'd heard murmerings about battery life before I got my hands on the Expert, and I haven't had it long enough to comment, but I would say that the box of goodies supplied with the meter came with two spare sets of batteries (3x AAA) and once you register with Roche they will send you replacement batteries on request. When you first turn the unit on you are walked through a fairly lengthy but admirably simple set-up procedure where you define everything from time and date, high/hypo levels and expected rapid-acting insulin duration to target BGs, insulin sensitivity and carb ratios across a number of editable 'time blocks' through the day. Testing itself makes use of the familiar Aviva test strips which require a code-chip every time you start a new box. Some might find this an annoyance, but I don't find it slows me down at all. Insert the strip (which turns the meter on even if you've 'locked' the buttons) and the brief pause while it prompts you to check the number on the pot of strips is just long enough to get a drop of blood going from your calloused fingers. The strips only need a relatively small drop of blood (0.6 microlitre) and handily if your first attempt is a little on the small side, you get the chance to squeeze out a little more blood and reapply before the meter throws an error message. Results are delivered in around 5 seconds. 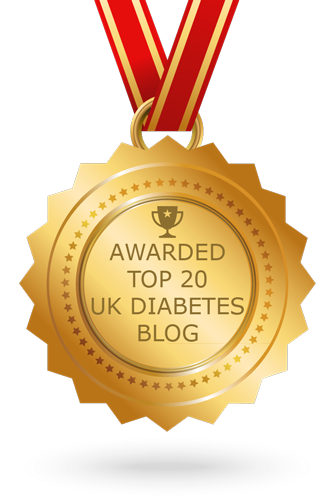 Over the previous 5 months I had been carefully logging insulin, carbs, exercise and all manner of other details using the brilliant DiabetesDiary for iPhone/iPod Touch. All the averages, stats and pretty graphs a diabetic could wish for. I suppose this meant I was used to inputting data at every meal and I was pleasantly surprised at the ease of entry of details into the Expert. Unfortunately, although the Expert will record all the facts, there is no method by which you can add any notes or comments to records. Even a system whereby you could predefine your own 'comment list' by some lengthy letter-by-letter process and then attach notes to entries such as 'Gym day', 'Underestimated meal carbs', 'Fake hypo' or whatever via the Expert's click-and-choose menu system would make the results stored on the meter much easier to analyse at a later date. Which brings me to another gripe... I have no idea why meter manufacturers (and Roche in particular) are so obsessed with Infrared as a means of data-export. The Expert is compatible with the 360° software package, but I don't really want to buy-in to a whole expensive suite of data-management tools and infrared gizmo. I just want to be able to export and print a month or two's results and take them to my appointments. A simple USB port/cable and CSV file export would be fine thanks. And even if I did fancy the 360° system, I've just upgraded my PC and it won't currently run on Windows 7 so that's a non-starter. Unfortunately what this means is that the data logged in the Expert is trapped there and the screen is really just not up to the job of reviewing the information in anything more than a general overview way. The graphs and reports are just too tiny to be read with much clarity, and table views which offer just 5 lines of data mean much scrolling is required to look back over recent results. The graphs are particularly frustrating - there's a dotted horizontal line to show 'hypo' but no other lateral reference points. A line for 'hyper' and some shading to show the desired BG range(s) over the time period would have made them much more worthwhile, even at small sizes. There are a bunch of charts, graphs and tables available which do give you a good overview of your recent control. My particular favourite is the 'Target' pie chart which instantly shows you the proportion of results high, in-range, below-range and hypo. Even this though could do with a tweak. The Expert allows you to set a range and a hyper and hypo warning level. This means that you can grade your results to identify low level ups and downs as different from more serious hypers/hypos. Inexplicably though the 'Target' charts do not differentiate between high and hyper. One area that I've not really explored is the comprehensive set of reminders and alerts which can be set to beep or vibrate at you. Reminders to test, prompts to retest after a high or low reading, waking you up for overnight testing, even just to use the expert as your alarm clock! The fact that I picked up my Expert a few days before Christmas might be seen as unfortunate timing. It's not the easiest time of year to get your carbs and doses right, and the first week or two were decidedly difficult, not least because my first attempt at setting up appropriate targets, sensitivities and ratios proved a little off, and I was a little too ready to take the Expert's advice even when I suspected it wasn't quite right. For seven days over the festive break though, when work seemed a million miles away, meals could be taken at leisure with careful bolus-eating delays and one day was much like another the expert performed spectacularly well. 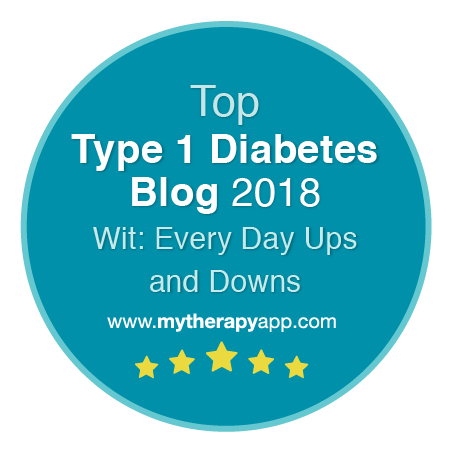 I had almost no hypos and something like 75-80% of readings were in the 4-9mmol/L range. I began to believe this could be the start of something really good. I won't go into all the complexities of the calculation system here (lest you lose the will to live) but essentially the Expert takes the mid-point of your target range and will always seek to pull or push your BGs toward that. If you come into a meal on the low side it will knock-off an amount of insulin, based on the figure you have given for BG change per unit, along with any plus or minus fractions allowed for exercise, stress, illness etc. Conversely, if you get a meal hopelessly wrong it will suggest a correction dose to bring you back in-range. There are safeguards in place that keep track of insulin duration and the timelag between correction doses and their effect being evident to help prevent over-correction. And of course the Expert is only making suggestions. You can easily override at every stage. One nice feature is the way it displays any plus or minus correction-factors involved in the advice, along with any rounding up or down of the final dose (to the whole or fractional units you have defined). This means that you can see whether the 6u bolus suggestion was based on 5.5u or 5.9u and also how much was down to the Expert wanting to get you from say, 4.5mmol/L to the midpoint of your target range. Once you have the thing basically set-up and are looking to fine tune it, a few issues begin to emerge. Insulin ratio is only available in whole units. While this is largely satisfactory, for higher carb meals being able to specify to a decimal place would be an advantage. The 'offset time' setting (the expected delay following an injection for BG levels to begin to fall) can be set as no less than 45 minutes. There seems to be no reason for this, and with the profile of some analogue insulins this seems less than ideal. Additionally only one 'offset time' can be defined, while my own experience suggests that I would expect a different delay at different times of the day. 'Active insulin' is another anomaly... the handbook suggests this shows 'bolus insulin that has been given to lower your blood glucose, but has not yet been fully used'. You might expect this to be tracking your whole meal bolus, plus any additional correction factor, but in fact it ignores any part of your dose which is supposed to be dealing with carbs and only reports on correction doses. If you want the Expert to keep tabs on your total insulin-on-board you need to back out of the bolus advice screen and then add the bolus in manually. A simple 'include meal bolus in Active Insulin figure' checkbox would have helped. Overall I think I'd have to say I think the Expert is pretty good. Strangely that is a real shame, because it could have been brilliant. There is nothing like it on the market for us folks on MDI and a little more polish could have made it something really special. In a week where one day was very much like the next it gave me excellent results. But in a working week where every day is different it is still struggling. It feels like there are just one too many niggles and concerns. The only reason you would want this meter is if you wanted something to give you more than just a simple record of BGs. I like being able to add data, but I'm not a machine, sometimes I make a mistake. I'd like to be able to delete entries which are wrong, or change times and dates where I make mistakes. To forbid me from doing so because you think I'll just lie to my healthcare team is ridiculous - if I want to deceive them I just won't show them actual results. Sometimes I'll click OK then change my mind about the amount of carbs, or dose I'll take. I'd like my meter to give me enough respect to allow me to log what actually happened. You can modify some records, but not enough and not completely enough. The bolus advice is often pretty good, but it falls down if I make an error in carb counting, and makes no attempt to track the absorption of any carbs, trusting the insulin to deal with them. Having said all of that I'm glad I have one and will be persevering for the next few months up to my annual review to see if I can tweak the settings still further and repeat that 'perfect' week. UPDATE: Having re-read through this a day after posting I realise how nit-picky and negative it sounds. The truth is I really like the Expert, and careful tweaking of its parameters is getting it to provide more consistently effective bolus advice. I think the gloomy cloud over the review is down to the frustration I feel that the unit is only 'Good' when really without very much alteration it could be 'Great'. Oh one other thing... I linked to this post on a forum and Rob, another Expert user pointed out a way to set fractional insulin ratios. It's not really a problem which affects my ratios, but if your ratio is, say, 1u:7.5g carbs and you have a larger meal containing perhaps 120g of CHO, settings in whole units would only permit a bolus suggestion of 17u (1:7) or 15u (1:8). Rob's clever suggestion is to set the ratio using a higher carb value, so 1:7.5 becomes 10u:75g CHO on the Expert. Ingenious! On reflection I've pushed the final review score up to '4' from '3.5'. It's still early days. I may well post another update in a month or two after a little more experimentation. I haven't blogged for a long time. I started secondary school last September and I have been seriosly overloaded with homework. The blog is a way to relax. Since school started in September, things have got a whole lot better. Dad has got lots more gadgety stuff and it seems to be helping. He has set up a graph on his i-pod and it always makes me laugh when he admits that he hasn't put todays readings on if they're really bad. He likes to keep it neat. Living with diabetes is something you get used to. At school, people say they feel sorry for me, and when I say its really not that bad, they look at me pityingly. Actually its quite annoying. Sometimes I even forget he has it, but then he'll come down stairs and start eating chocolate or have some lucozade and, well, you don't forget for long. I think that if my dad didn't have diabetes, I would be a completely different person. Somehow less aware. Less mature almost. My best friend, has a brother who is autistic. She knows how it feels to have someone in your family who is different. She understands how little and how much at the same time it can affect you. It is nice to know someone understands your feelings. 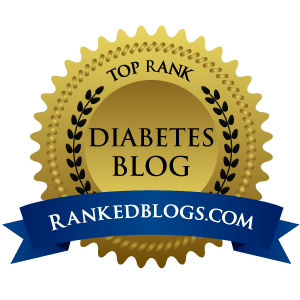 Diabetes is a complicated and unforgiving disease. To manage successfully, it requires knowledge, problem-solving skills, and a reservoir of patience. Even then, life happens and throws everything into chaos. It pretty much sums up my day yesterday. Diabetes hasn't made me smile in a long time, but some results yesterday were so crazy, so illogical, so utterly ridiculous that I found myself grinning all over my face this morning. I've been having a pretty good run of results in the last few days - now that the craziness and unpredictability of Christmas eating has passed. I began yesterday morning with a bg of 8.0mmol/l (144 for US readers). A bit on the high side, but not too bad. I had a pretty standard low GI breakfast (two slices of Burgen toast) one that I know usually behaves itself and left my usual 45 minutes between bolus and eating. By mid-morning I had spiked way up to 14mmol/l (252). Took a correction and was nicely back in range with a 7.2 (130) before lunch. I put the spike down to a little liver-dump tomfoolery and left it at that. For lunch I had two slices of Burgen again, low fat mayo and some leftover chicken. Plus a smallish Clementine to finish. Left 15 minutes between bolus and eating (which is usually enough at lunchtime for the Humalog to get going). Carbs-wise that makes around 35g so I bolused at my usual ratio (4u). 30 minutes later I'd only risen by a tiny 0.2mmol/L (meter inaccuracy notwithstanding). BUT two hours after lunch I checked again and had shot up to 15 (270). So let's get this straight... I ate completely familiar foods, counted the carbs, took usual doses and in both cases ended up spiking to the sort of level I'd usually like to avoid. At this point, our evening meal looked like a scary prospect. The girls were given horse-riding lessons from grandparents at Christmas so they were going to be back late and hungry. We'd decided to pick up food from the chip shop to make things easy. So this meal is massively high in carbs AND high in fat AND on a day when the usual rules seem not to apply. Hmmmm tricky! But what could I do except use my usual (and often fairly successful) approach of a stab-in-the-dark at the carbs and a 60:40 split dose 60% before eating and the rest an hour or so later. Pie and chips. Carbs were estimated at 140g (I know... I know...). 10u up front with a pre-meal reading of 4.3 (78). An hour later I was up to 7.5 (135) and took the second half of the split - 3u to allow for being slightly close to the edge before the meal. At three hours after eating I had dropped back to 5.2 (94) still had a fair amount of insulin on board so had a couple of leftover Christmas chocolates to play safe. Went to bed at 11pm at 5.9 (106) with a reported 1.5u of active insulin according to Colin (my Accu-Chek Expert). I figured that at least some of the evening meal was still chugging through my system, delayed by the amount of fat involved so left it at that, trusting the chips to see me through the night. I woke at 5am. This is very unusual for me, and I immediately assumed that my BG must have dipped into hypo during the night. A blood test revealed 5.7 (103) so I just went back to sleep. Woke this morning to a reading before breakfast of 5.5mmol/L (99) and it was then I started grinning. Both my low fat, lowish carb, low GI meals in the day had ended badly, but a pie & chips blowout followed by chocolate and a glass or two of wine had resulted in spectacularly good levels. 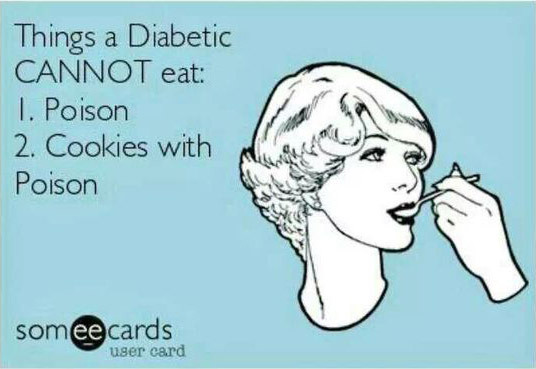 This is the mystery of diabetes. This is why it drives us crazy. Well I've been using the 'Expert' for a few weeks now and I'm pretty pleased with it. It took a while to get the levels set up right and to understand how it was making its calculations but as of now it's making some pretty good bolus recommendations for meals and more often than not I'm just confirming them. In a little while I'll do more of a full review with a slightly more considered account of my experience, but I'm investigating a slight oddity at the moment and want to get my head around it before I write that. There is a line on the Expert's display which reads 'Active Insulin'. According to the blurb this gives you an estimate of the amount of working insulin you still have on board based on the timing of your injection and the figure you provide for insulin duration (in my case 4 hours). Except that it isn't doing that. Well not for me anyway. In the first week I can dimly remember seeing Active Insulin numbers which matched quite closely to what I would expect. At least once I tested after a meal and thought, "Well it's a bit high but I've still got a unit on board so it will come down into range soon enough." Later I began to notice some very low 'Active Insulin' readings around 2 hours after a meal which did not seem to correspond with the amount of insulin that really was active at that point based on what my BGs did subsequently. Over the weekend I ran some tests to try to work out what sort of curve the device was using to plot the fall-off in insulin activity. I wondered if it was weighted to having a higher proportion of the dose being used up in the first few hours. This does not seem to be the case either... In three separate tests the Active Insulin was displayed consistently as either 0u or 0.1u at 30 minutes, 1 hour, 2 hours and 3 hours after a confirmed bolus of 4 or 6 units. I've emailed my DSN to see if anyone else has had this problem. I may also drop Roche a line to see if they can shed any light on it.